Easterseals creates a hopeful, inclusive community where all people achieve their potential and live meaningful lives. Easterseals makes profound, positive differences in the daily lives of people of all ages with disabilities, special needs, military backgrounds and their families. 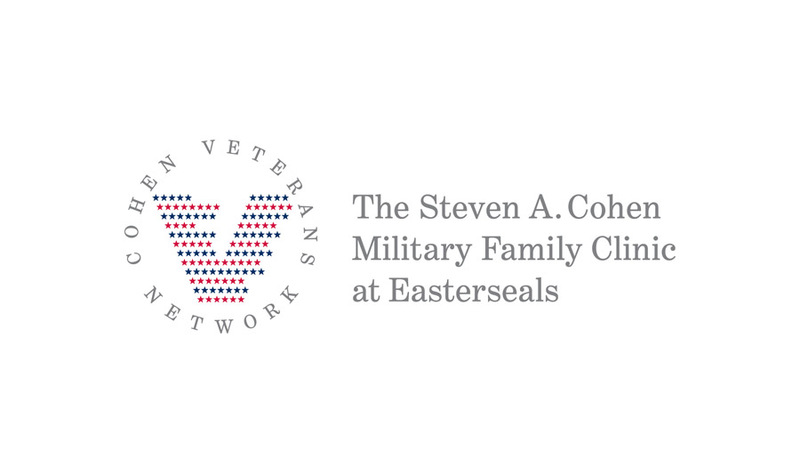 The Steven A. Cohen Military Family Clinic at Easterseals provides high-quality, accessible and integrated behavioral health care to veterans, their families or caregivers, and the families of active duty service members. Our no or low-cost services are available to any person who has served in the U.S. Armed Forces, including the National Guard and Reserves, regardless of role or discharge status. The Cohen Clinic uses evidence-based practices with a holistic approach to improve the quality of life for veterans and their families. Services are provided by trained and credentialed staff. Veterans and their family members are able to receive services individually and as a family unit at the same place with the same treatment team.The Cohen Clinic will also help connect veteran families to community resources and services, as necessary.